Is it time to start thinking about your next St Paul home remodeling project? 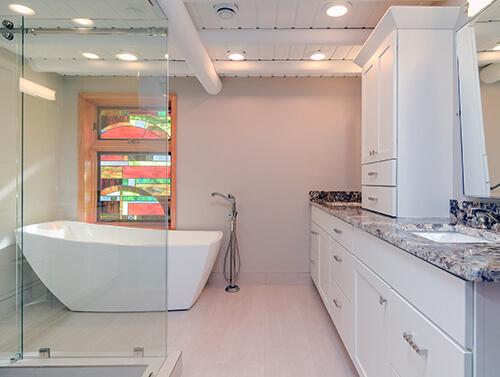 Award-winning St Paul bathroom remodeling experts Titus Contracting can help! There is no bathroom too big or too small for us. We have worked on St Paul bathroom remodeling projects of all sizes, and no matter what the job, we do our best to make sure you end up with the bathroom of your dreams. Pride in our work, quality craftsmanship, strong attention to detail and the best in customer service are all hallmarks of our business. Give us a call today so we can start your St Paul bathroom remodeling project right away! We are professional remodelers, and we have helped countless homeowners in this area remodel their bathrooms. A bathroom remodeling process begins when you call us for a consultation. We meet with you to discuss what you want out of your new bathroom and from there, we design a new bathroom for you! We will use as many of your bathroom remodeling ideas as possible so you end up with the bathroom you’ve always wanted. 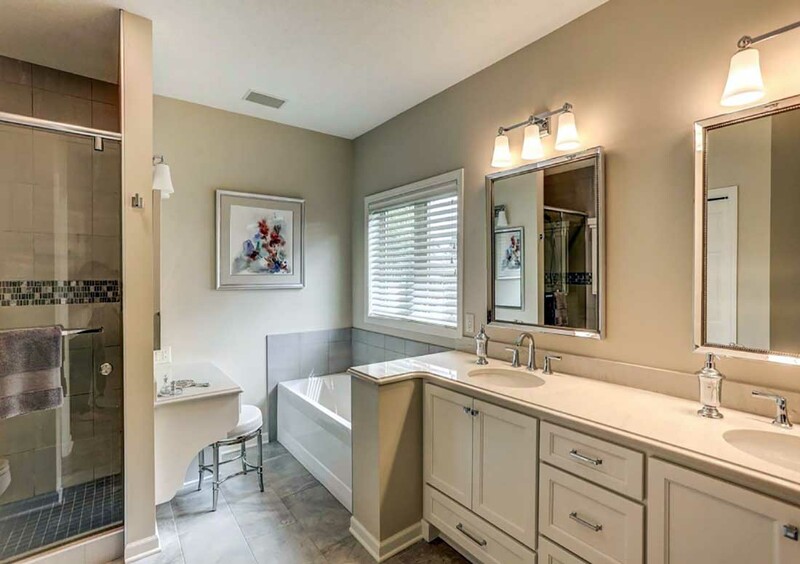 Titus Contracting will walk you through the bathroom remodeling process step-by-step, ensuring you understand every part of what we do, plus what it will cost you. We want our customers to make informed decisions during the bathroom remodeling process. From getting construction permits through the actual remodeling process and everything in between, you can rest easy knowing your bathroom remodeling project is in Titus’ hands. You get to do the fun stuff, like picking out new bathroom fixtures and accessories, while we handle all of the grunt work, like hiring subcontractors. Call to find out more about bathroom remodeling. We can answer any questions you might have about how the process works and can fit your bathroom remodeling project budget. Then we can schedule your consultation! Titus Contracting will then take care of all of the subcontractor bidding, and you get to do the fun part – pick out what fixtures and accessories will go into your new St Paul bathroom! After all of that is done, you will be presented with a complete and final scope of work and the home improvement agreement. We will go over every detail to make sure you completely understand the project and the specifics. The bathroom remodeling project’s schedule will then be finalized, and we can get started on the project as soon as we finalize everything and get the required permits. You will find our team to be both professional and friendly. From the moment we begin your bathroom remodeling to the moment we show you the finished results, you will be happy you hired us to do the job. Full Bath Remodeling: Learn More! Are you interested in learning more about bathroom remodeling in Minneapolis & St Paul? Call Titus Contracting at (952) 444-2301 or you can contact us and Schedule a Consultation.